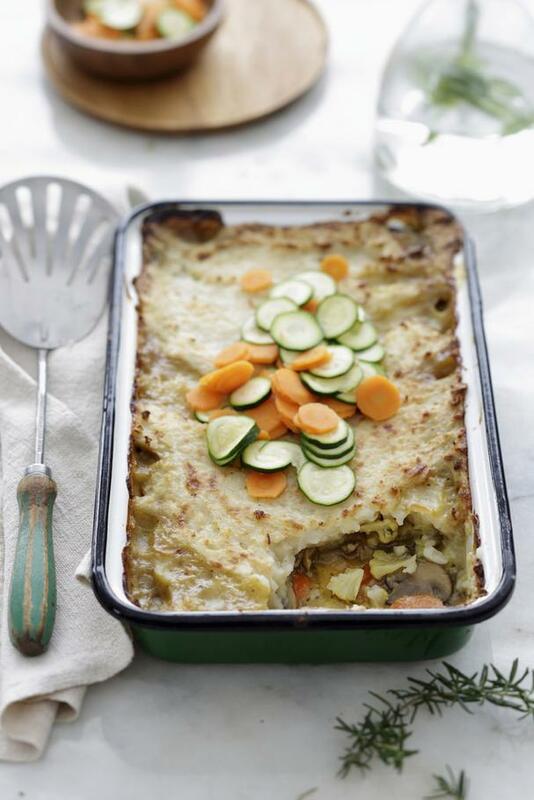 Passover begins on April 22 and in our search for healthy dinner ideas in lieu of the traditional brisket we found this delicious Vegetarian Shepherd's Pie from Kenden Alfond. Kenden is the founder of Jewish Food Hero, which nourishes the minds, bodies, and spirits of Jewish women around the globe. She offers vegan recipes that are a modern twist on traditional Jewish meals and resources to support an intuitive turning toward greater health. 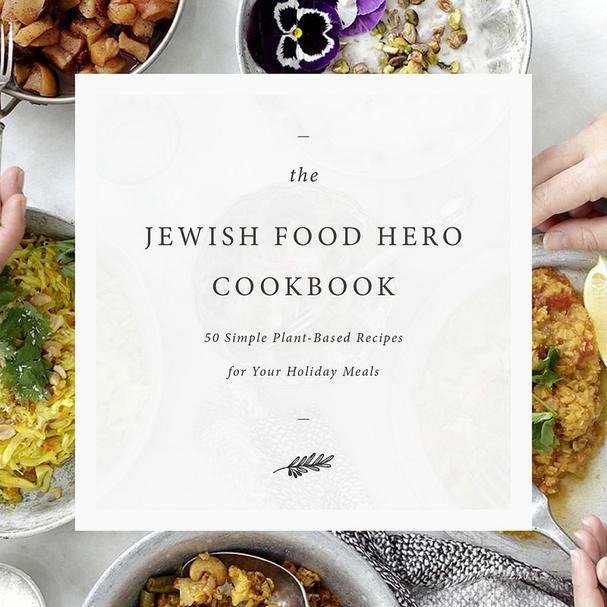 You can find The Jewish Food Hero Cookbook: 50 Simple Plant­Based Recipes for Your Holiday Meals on her website here. Get her healthy and scrumptious recipe below and enjoy and excerpt from her book. 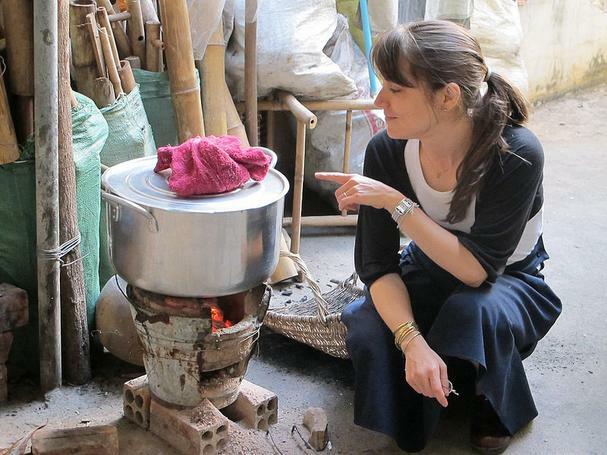 "Jewish women everywhere are already thinking about what they’re going to serve for Passover. Many would love to serve healthier food options on their holiday menus, but how can you when you’re committed to preserving beloved traditions ­­ many of which are preserved at the holiday table? On a mission to find a holiday menu that inspired me and was healthy for my family, I only found recipes that made me feel like I was a Bubbe or Savta, and were not reflective of my or my daughter’s generation. I wondered if poor health and weight gain was the “price to pay” for engagement in Jewish life. I never found the menu of my dreams—so I created my own instead. The Jewish Food Hero Cookbook: 50 Simple Plant­Based Recipes for Your Holiday Meals is organized around the 10 major Jewish holidays, and designed to inspire women to honor traditions and add healthy food to the holiday table. Passover is an invitation for food simplicity. It allows your body to experience true “freedom” during a special 7 day period. Keeping things simple allows you to focus on how you feel and the experiences you’re creating instead of worrying about a particular advanced cooking technique or dreading feeling stuffed after the meal. *If you eat kitniyot during Passover, you can also use peas and thin string beans here. Place the prepared potatoes in a extra large soup pot, and cover with at least 1 inch of cold water. Boil, uncovered, for 20 minutes, or until the potatoes are fork­tender. In a large skillet, sauté the onion and mushrooms in 1/4 cup vegetable broth or water for 10 minutes, adding more broth if needed. Add the sage, thyme, and carrots, and sauté for another 5 minutes. Add the cauliflower and cook for 5 more minutes. Add the vegetable broth to the vegetables in the skillet, reserving 1/4 cup to mix with potato starch. Add the potato starch mixture, sea salt, and pepper to the vegetables. Pour the cooked vegetables into a lightly oiled 9 x 13­inch glass casserole dish. Top with the mashed potatoes and smooth the surface with a spoon. While the casserole is cooking, chop the vegetables for the garnish, paying attention to maintaining a uniform and delicate shape. Arrange the warm vegetables on top of the casserole in a design that inspires you. Keep warm in oven until ready to serve. Serve family style on the table. Recipe reprinted with permission of Jewish Food Hero. Copyright © 2016 Jewish Food Hero.